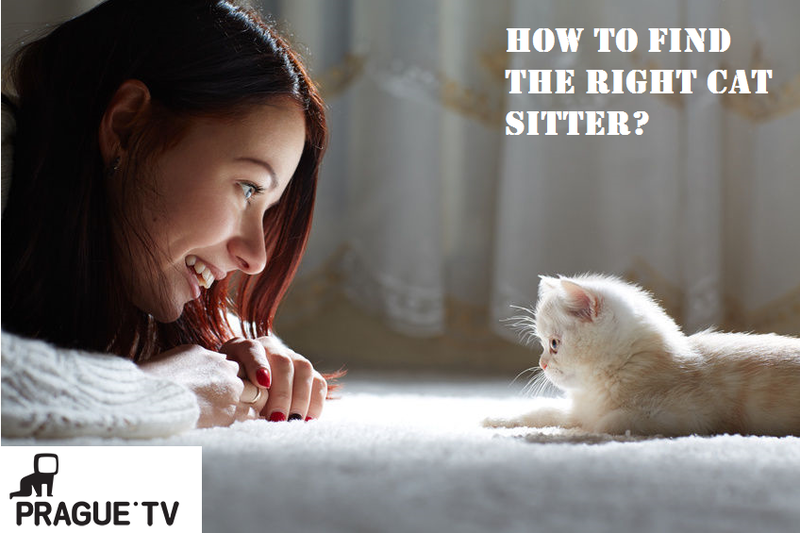 As we came accross this usefull article from Prague TV portal, written by Martina Čermáková, about how to choose your right pet sitter, we decided to answer all these questions for make you feel safer about us, if you are still wondering wheather to order professional cat sitting or not. There’s no one-size-fits-all when it comes to finding the right pet sitter to meet the specific needs of you and your pet. Finding a pet sitter to provide the right pet-care services requires an investment of time — time to do phone interviews, conduct in-your-home meetings and thoroughly check references on those you’re considering hiring. • Does the pet sitter (or agency) keep regular office hours? A professional pet sitter should have a schedule of office hours. As we make cat sitting 365 in a year, our office hours are almost permanent and that is from 8am to 23pm every day. We do our best to answer our clients as soon as possible, so we can say that at this moment our average response time is no longer than 1 hour. Never more than 24 hours afterall. • How much notice does the pet sitter (or agency) need in order to schedule your request for a pet sitter? needs of his cat/cats – special medication; vet address, etc. • Does the pet sitter (or agency) have established fees for pet care they can quote over the phone and/or in company literature? Yes, we have very clear price list, that is well availiable for everyone. You can see it here. • Is the pet sitter insured? Yes we are insured by Kooperativa to 1 000.000.000 CZ. • Does the sitter have a clean criminal history? Sure, that is absulutely number one that we require from our cat sitters. • Does the pet sitter meet with you and your pet(s) in advance? Is there a charge for this in-home meeting? Initial interviews allow the pet sitter to meet with you in your home, interact with your pets and discuss services and business policies. Our system is based on high client´s care so one of our key cat sitting member meets the client personally, discuss everything with him, takes photos of important places as where the cat food is and than choose the perfect cat sitter that suit the best for the concrete animal and place. In the case client prefers to see his cat sitter by himself first, we will call him/her to the initial meeting as well. • How much experience does the pet sitter have in caring for your particular type of pet? Does the pet sitter willingly and happily provide references? Our agency consist of highly experieced cat owners and cat sitters. We also dispose of several beautiful references of our clients. You can read them here. • Does the pet sitter use a service contract that spells out services performed and fees for doing so? At every initial meeting we use special cat sitting treetment, where we put every need of client´s cat and other possible pets, all administrative information and the payment. • How much time does the pet sitter spend in your home to care for your pet(s)? Regullar time spent with cat to one visit is 30 minutes – that is precisely enough time untill an average cat keeps atention and after that it goes to sleep or somewhere else. • Does the pet sitter have a website that you may peruse? • What contingency plan does the pet sitter have in the event of inclement weather or natural disaster while caring for your pet(s)? We take contact to cat´s vet from every client, so we count with the possibility of taking pets somewhere else. Even in the case of any disastre – we could place them to our houses temporarily. • What does the pet sitter do if medical care is needed for your pet? Every cat sitter from our agency is able to manipulate with surgery needle and is experienced in application of medication to cats. We had never any problem with this issue. • How does the pet sitting agency screen and train their pet sitters? Every time we hire cat sitter – first of all – we give him a questionaire before we invite him to an interwiew, than we are two personalist considerating his ability for this job. We require criminal record from each cat sitter and let him sign the contract for material responsability. All the more – from each visit he sends info about cat + photo to one of our managers, that resends it to the client. This is doule check for client that the cat sitter really was in his house. • How will the pet sitter confirm your safe return home for the care of your pet(s)? Your pet sitter should call to confirm that you have returned home at the expected time or ask that you call to confirm your return. We ask our clients at initial meeting when will they return so when the date comes, we ask him if everything was alright with his cats and house. We haven´t experience a case yet that the client wouldn´t come in expected time. Or if so – he gave us know in advance enough. • Will the pet sitter provide you with an evaluation or rating form of their services? A service rating form, either left at your home or sent by e-mail, is the hallmark of a professional pet sitter who wants to ensure client satisfaction. Definitely yes. We send our clients evaluation form after every cat sitting. • What are the payment terms? Some pet sitters require payment in full for first time customers while others require a deposit upon reservation and balance paid at the end of the assignment. There is no industry standard for payment terms, so be sure you understand in advance the terms of the pet-sitting business you choose to work with. HolidayCat agency requires full payment in advance. Support our page by clicking on "Like" button and follow us online!